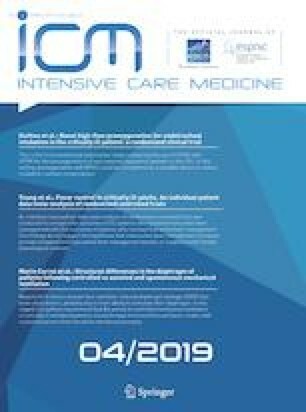 The major hazard associated with intubation of critically ill patients in the ICU is the occurrence of profound desaturation that can unfortunately lead to cardiac arrest . A recent study by de Jong et al. reported that cardiac arrest complicated the course of 1 intubation out of 40 . Hence, with a low estimate of approximately 100 intubations per year in an average 12-bed ICU, ICU teams may experience at least two cardiac arrests a year. Quite expectedly, outcome of patients that suffer these arrests is poor . Proportions of patients experiencing profound desaturation (defined as SpO2 below 80%) have been reported with a striking consistency in studies dealing with intubation of the critically ill, between 20 and 25% [1, 3]. Other complications such as hypotension also frequently occur and contribute to the occurrence of cardiac arrest. 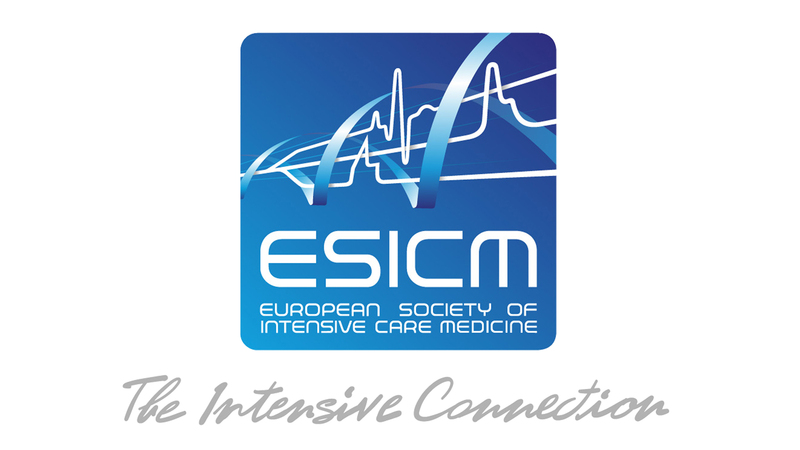 This calls for two comments: first, procedures and devices currently used in the ICU to provide preoxygenation are insufficient to ensure patient safety; second, it is our duty to improve this high-risk procedure and reduce occurrence of these avoidable deaths. High-flow nasal cannula oxygen therapy (HFNC) has gained popularity in the ICU to manage patients with acute respiratory failure , and should be considered as first-line ventilatory support instead of conventional oxygen or non-invasive ventilation (NIV) . Because the nasal prongs can be left in place during the entire procedure, HFNC has been used to provide pre- and per-laryngoscopy oxygenation . Studies evaluating the benefits of HFNC in this indication have provided mixed results, some studies finding a clear benefit of HFNC, others not [1, 3]. Several points need to be considered when analyzing the literature, including patients’ initial severity of hypoxemia, the comparator [i.e., standard bagvalve mask oxygenation (BVM) or NIV], the level of oxygen flow during the procedure with HFNC and the procedure itself (for example, application of jaw thrust or not). Some of these may explain these discrepancies. NIV was the first strategy used to improve pre-oxygenation of critically ill patients in comparison with BVM. Although the first study clearly showed an advantage of NIV over standard facemask oxygenation in terms of the reduction of desaturation episodes , the second study performed by the same team failed to demonstrate any benefits of NIV as a pre-oxygenation method to reduce organ dysfunction compared with usual pre-oxygenation in hypoxemic, critically ill patients requiring tracheal intubation . Until very recently, NIV had not been compared to HFNC in this indication. In a multicenter randomized controlled trial (RCT), Frat et al. showed that, in patients with acute hypoxemic respiratory failure, pre-oxygenation with non-invasive ventilation or high-flow oxygen therapy did not change the risk of severe hypoxemia. This risk seemed to be decreased with non-invasive ventilation for patients with moderate-to-severe hypoxemia. The results from an ancillary study of the MACMAN trial suggest similar findings . NIV has the advantage of promoting alveolar recruitment thus further increasing oxygen reserves. This may be of particular benefit in patients with reduced lung volume and FRC [10, 11]. Since the introduction of HFNC, one before-and-after study and three randomized controlled trials compared this device to standard BVM in the context of ICU patients requiring emergent intubation with discrepant results . These studies, along with others performed in the emergency department or the prehospital setting were included in a recent meta-analysis that concluded that “apneic oxygenation [was] associated with a decreased incidence of oxygen desaturation in emergency intubations” . In this issue of Intensive Care Medicine, Guitton et al. provide yet further evidence on the benefits of the use of HFNC over BVM in a multicenter RCT that included 192 non-severely hypoxemic patients . In the intent-to-treat analysis, the median (IQR) lowest SpO2 was 100% (97; 100) for HFNC and 99% (95; 100) for the BVM group (P = 0.30). Mild desaturation below 95% was significantly more frequent with BVM (23%) than with HFNC (12%). There were significantly fewer adverse events in the HFNC group (6%) than in the BVM group (19%), including fewer severe adverse events. The authors concluded that, although pre-oxygenation with HFNC in the ICU did not improve the lowest SpO2 during intubation in the non-severely hypoxemic patients in comparison with BVM, it did lead to a reduction in intubation-related adverse events . An important aspect to consider is the timing of intubation . Evidence suggests that unduly delaying intubation in patients with acute respiratory failure worsens patient outcome. Quite intuitively, one may infer that the later the intubation in hypoxemic patients, the greater the risk of desaturation during the procedure. However, anticipating which patients will fail and require intubation is difficult, and deciding when to intubate not always easy. Recently, an index has been developed to predict the outcome of patients treated with HFNC. The ROX index (easily calculated by the ratio of SpO2 over FiO2, divided by respiratory rate) has its best accuracy when performed at 12 h after HFNC initiation [14, 15]. HFNC oxygen has shown a clear benefit in the first-line treatment of acute hypoxemic respiratory failure over other strategies in one large RCT . Hence, those that believe that HFNC should not be used for the pre-oxygenation would reach the ludicrous decision of having to remove HFNC from a patient who requires intubation and replacing it with a BVM to ensure pre-oxygenation. The results from meta-analyses tell us that this would not be appropriate [3, 12]. It is our opinion, supported by the data presented here, that, at both the patient level and the societal one, the burden of the consequence of cardiac arrest and cerebral anoxia unquestionably outweighs the putative uncertainties regarding the efficacy of HFNC in preventing profound desaturation during intubation of the critically ill.
An ongoing large observational study endorsed by international scientific societies (INTUBE Study, NCT03616054) will provide evidence on the worldwide incidence of intubation-related adverse events and useful insights into current practice of airway management in critically ill patients, including apneic oxygenation. Let us not forget that ensuring our patients’ safety is our utmost priority. Jean-Damien Ricard declares having received coverage for travel expenses to attend scientific meetings by Fisher&Paykel. Cesare Gregoretti declares having received fees from lectures or consultancies from ResMed, AirLiqide, Philips and Vivisol. He also received coverage for travel expenses to attend scientific meetings by Fisher and Paykel. An approval by an ethics committee was not applicable.